In 2005, a little-known author was invited on The Daily Show with Jon Stewart to promote his book, an almanac chronicling fake histories ranging from the story behind Theodore Roosevelt’s fictional lobster canal to the disappearing 51st US state Hohoq. 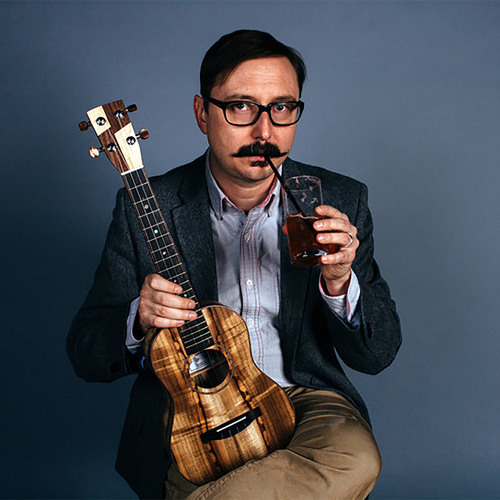 Since then, humorist John Hodgman has parlayed his wit into New York Times best-selling books, a Daily Show correspondent position, a Netflix stand-up special, and his own podcast. Hodgman brings his razor-sharp wit to MIT for a moderated discussion on his career and the state of comedy today. John Hodgman is host of the Judge John Hodgman podcast and a former resident expert for The Daily Show with Jon Stewart Moderator: Seth Mnookin is associate director of MIT’s Graduate Program in Science Writing and author of The Panic Virus: The True Story Behind the Vaccine-Autism Controversy.